Much like Thomas Was Alone before it, Volume is a grandstanding example of how to distill the essence of a genre whilst meaningfully expanding upon its core principles. The most pure stealth experience money can buy; Mike Bithell’s sophomore release takes the legend of Robin Hood and thrusts it into a futuristic setting, injecting it with oodles of meta-commentary and providing a level creator that extends the game’s mileage far beyond what its initial remit would suggest. Set in near-future England where the nefarious Gisbourne Industries has taken control of the country, Volume puts players in the shoes of one Robert Locksley who intends to do the whole Robin Hood thing by siphoning the riches from the 1% and giving it to the poor, thus allowing the common folk to reclaim the country in the process. Without giving away a major plot point, I can say that setting in which he achieves this is through the manipulation of a ‘Volume’, an artificial intelligence that can replicate various structures inside a virtual reality style training environment. How he does this however, is through the application of good old fashioned stealth and distraction techniques and it’s this style of gameplay that forms the crux of the Volume experience. While it’s clear that Volume owes a sizeable debt to Hideo Kojima’s Metal Gear Solid (something that creator Mike Bithell himself readily admits), each level in Volume is instead connected narratively by in-game text and narration while also being bite-sized enough to be completed in seconds or maybe a couple of minutes rather than some extended period of time. As well as being more digestible, having such small levels also better suits folks who have less time to spend on games, not to mention the obvious appeal of having levels that can completely quickly when Volume soon makes its debut on Sony’s muscular PlayStation Vita handheld. Over the course of Volume’s one-hundred default single player campaign levels, the game takes you on a step by step course of stealth gameplay, gradually building upon the fundamentals with more gadgets and more complex levels. Beginning with tutoring players on how enemy cones of vision function as well as basic navigation and hiding behind cover skills, Volume builds upon this with the aforementioned application of a number of incrementally cool gadgets. 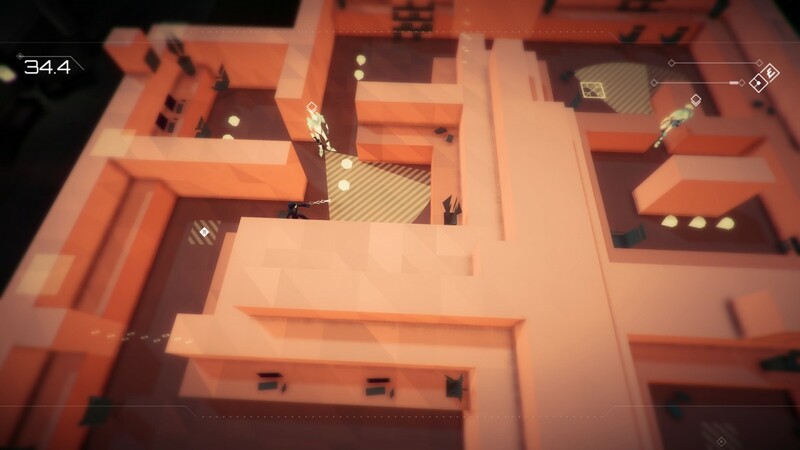 Speaking of which, these tools run the gamut of stealth mechanics and in doing so, they almost feel like validators of Bithell’s tremendous understanding and expert grasp of the tenets of the stealth genre. The Beagle, for example, is the most pedestrian of the bunch as it fires off a device on a trajectory which can be triggered to create a noise to distract the enemy. More exotic though, is the Oddity which when stuck to a wall, can firmly fasten the attention of your foe, making them deaf to any noise in the process, or, the Figment which sends a copy of yourself dashing across the room and thus providing a window of opportunity for you to get past a particularly stubborn sentry. While being easily accessible and relatively quick to complete, that shouldn’t suggest that Volume’s levels aren’t challenging. In fact, once you get your feet under the table after the first fifteen or so levels, the game begins to turn things up pretty savagely and it’s when Volume gets serious that quality of its level design soars ever higher. 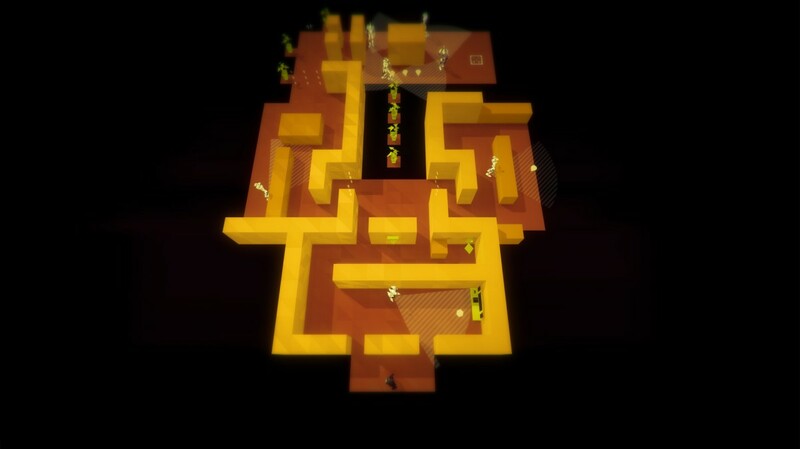 Including walls that need to be leapt over, force fields that need to be deactivated with particular keys and, in some levels, fostering a non-linear approach by allowing the player to proceed by providing a choice of gadgets to use, Volume’s levels are like finely tuned stealth assault courses that increasingly test the abilities of the player and manage to do so with a brilliantly judged difficulty curve. Speaking of difficulty, the manner in which Volume introduces new gadgets and techniques to the player over its duration always makes you feel like that you’re constantly learning and while the game does a great job in introducing these new elements, the levels are designed in such a way that you are always pressed on what you’ve learned beforehand too. Elsewhere, the presence of checkpoints contributes greatly to the accessibility of Volume with failure just an instant restart away. However if anything, the checkpoint system is a little too generous. Say if Locksley has set off the alarm and has guards in pursuit, all he has to do is reach the nearest checkpoint (of which there are many) and upon being caught and restarting, the enemies are reset but Locksley still keeps his pilfered loot at the last checkpoint – effectively allowing players to ‘cheat’ the stealth. Another minor niggle, is that on the pause menu the ‘restart checkpoint’ and ‘restart level’ buttons are far too close to one another and mistakenly clicking one, the ‘restart level’ one in particular, does not give you a confirmation prompt and has on a few occasions resulted in me losing progress as a result. As well as boasting such robust stealth gameplay, Volume’s take on the Robin Hood legend is immensely well handled. Again without giving too much away, it delves into the symbolic notion of vigilantism and how, much like Batman, the mask is just a symbol and will endure long after the man faded away. Clearly, there is a lot of nuance to the narrative and as such, it’s encouraged that players read the text dotted around each level as they’re completely worthwhile in providing additional exposition on the game’s narrative. Of course, the narrative wouldn’t be as effective as it is if it wasn’t for the tremendous cast of voice actors who lend their talents to the game. Charlie McDonnell is great as main protagonist Robert Locksley, a somewhat meek yet determined hacker who wants to restore balance to his country while Andy Serkis is also an inspired choice to play primary antagonist Guy Gisborne, a cold and merciless business type whose ambition won’t allow him to stop at subjugation of England alone. Clearly though, the star of the show is comedian Danny Wallace who vices Alan, the artificial intelligence who guides Locksley along his journey. At once showing the tender, almost naive side of an AI with has just come into existence alongside his usual trademark comic timing and bluster, Wallace does a superb job in giving Volume the sort of emotional anchor that few would expect and easily stands as a highlight. Additionally, the cameo of a popular industry personality also delivers some chuckles but that, much like the plot, is something which is best for players to discover on their own. In addition to Volume’s intriguing take on the Robin Hood legend, the game is also generously stuffed with pop culture and knowing nods to the videogames industry as well. Everything from Pac-Man, to the Terminator and YouTuber culture is given a fair old satirical roasting and in doing so, it succeeds in layering the narrative even further. Something that extends Volume’s appeal and longevity almost infinitely is the brilliantly robust and easy to use level creator that is included with the game. Here, players can create their own levels and share them with other folks across the world with persistent online leaderboards showcasing the performance of other Volume players as they test each other’s creations to try and score the best time. It’s simply great and really adds a ton of value to the overall package. Presentation-wise, Volume continues Bithell’s penchant for minimalist yet stylish visuals with mostly texture-free environments that cleanly represent the game’s virtual simulation look deftly while providing a range of other neat effects, such as spatial disruption and much more besides. It’s not the most technically ambitious title then, but is clean and smoothly animated at all times which are exactly two qualities that you want from a twitch-based affair such as this. In the end, Volume proves to be an easy recommendation to both fans of the genre and newcomers previously put off by the excess of larger, more cinematically orientated stealth outings. 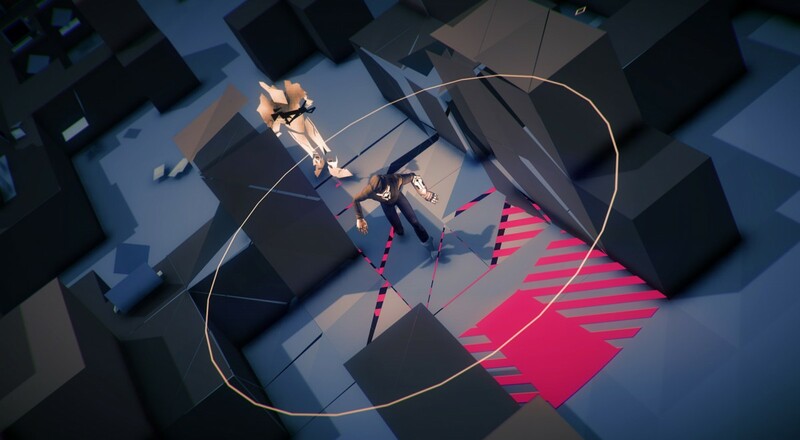 Tightly constructed and providing a tremendous take on both established legend and contemporary culture, Volume makes one wonder why Mike Bithell hasn’t been tipped to ply his craft with a new Metal Gear Solid game since, after all, he’s making all the right noises. Volume is available to buy right now on Steam for Windows PC and Mac and also on PlayStation 4 via the PlayStation Store. Review code for PlayStation 4 was kindly supplied by the developer for the purposes of this review. < How Do Warner Bros. Plan to Make It Up to Arkham Knight PC Players?